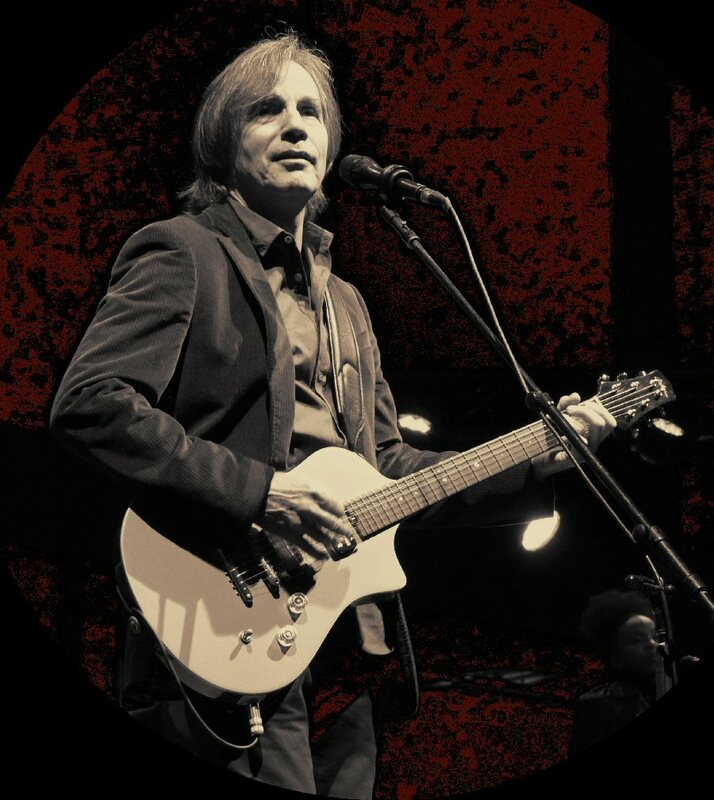 Singer/songwriter Jackson Browne played to an enthusiastic downtown Nashville crowd on October 11, 2015. 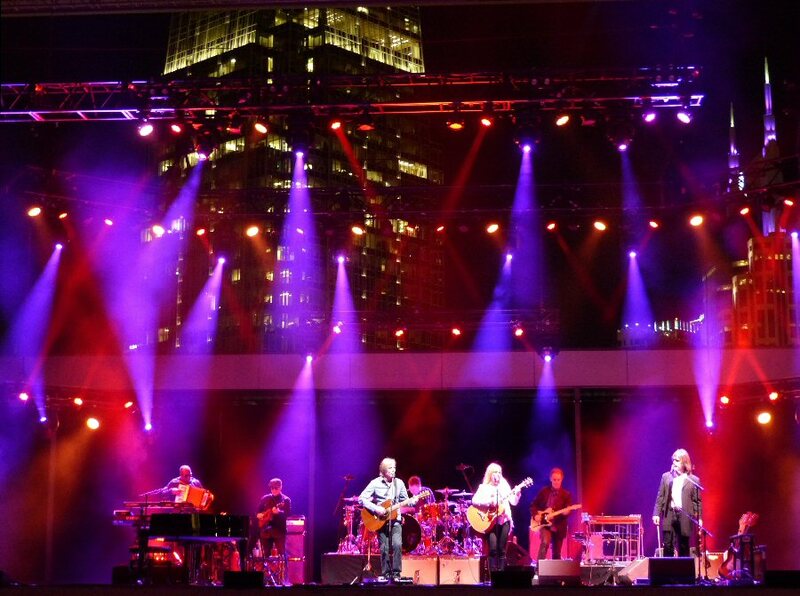 Jackson presented a set of classic and contemporary tunes at the recently built Ascend Amphitheater. The multi-million dollar venue is an open air complex on the bank of the Cumberland River. It features VIP viewing areas, assigned seating and a lawn vantage point. There is a cut-out over its spacious stage that frames a view of the city. The beautiful Ascend Amphitheater on the Cumberland River opened in 2015. 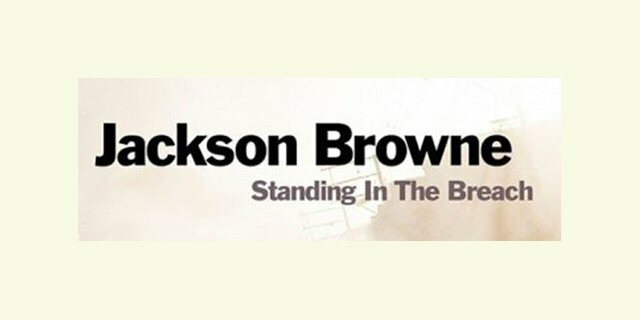 Jackson Browne has been making music since the mid-1960’s. He came into prominence in the 1970’s for songs filled with emotion, honesty, politics and personal perspectives. His latest album Standing in the Breach (2014) touches upon these topics as it also looks at the challenges of modern life. Browne is an advocate for arts education, the environment and human rights. During his concert at the Ascend Amphitheater he shared that their 2015 tour is “plastic free”. Folks were on their feet to greet Jackson armed with an acoustic who said its “good to be here”. Browne’s band was tight as they opened with “The Barricades of Heaven” and then “Just Say Yeah”. All the instruments could be heard with each adding to the mood of the music. Switching to an electric Jackson jested that every third person in Nashville is a guitar genius. “The Long Way Around” was rich lyrically with three gentle guitar parts adding layers to the song. 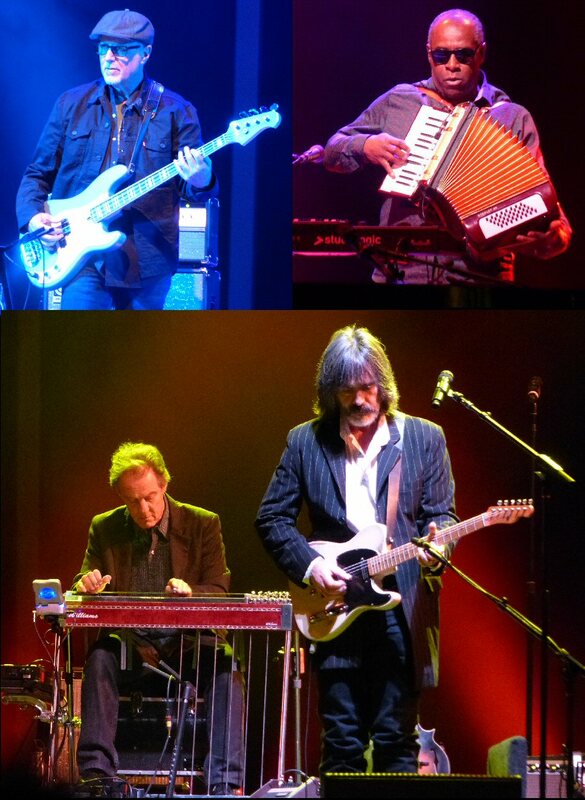 Throughout the show Jackson introduced members of his group which on this run includes multi-instrumentalist Larry Campbell. 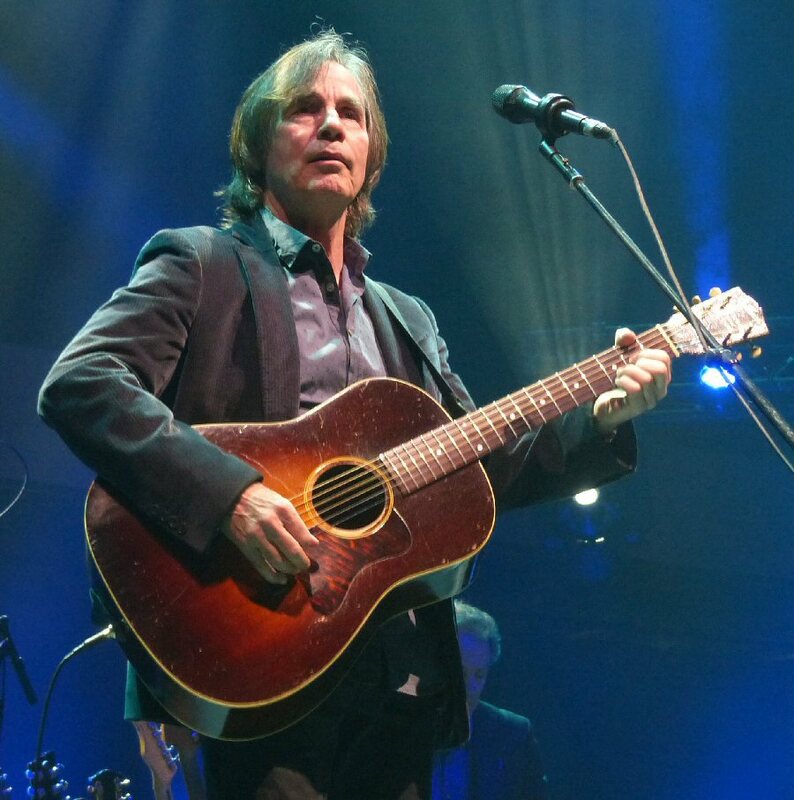 Jackson Browne switched between acoustic and electric throughout his show in Nashville. Browne mentioned that “Leaving Winslow” was inspired by his memories of men living around the railroad bridges near his boyhood home. The tune featured train like rhythms. Keyboardist Jeff Young played an accordion on this traveling track. As they finished up the crowd sang the end of “Happy Birthday” to Jackson who celebrated his birthday on October 9th. He jokingly responded that “67 does not have the same rock appeal as 66” but he’s going to make it work. The reflective “These Days” was well received by the Ascend audience as Jackson’s words still speak to fans after all these years. Jackson invited singer/guitarist Teresa Williams to join the festivities for “My Opening Farewell” in which she handled lead vocals with Jackson backing. The band provided subtle instrumentation suitable for the song. Browne mentioned that he had meet Teresa and Larry a long time ago in Woodstock, New York. He recalled a Warren Zevon song that they used to play. “Mama Couldn’t Be Persuaded” was a spunky story of Zevon’s gambling parents. Campbell added a feisty fiddle to the country flavored tune. The group expanded the classic “For Everyman” and “I’m Alive” with additional instrumentation. Jackson moved to the piano for the pensive “For A Dancer”. “Which Side?” was catchy yet caustic. “If I Could Be Anywhere” started out as a surfing tune explained Jackson but it evolved into a song about the health of the oceans. This newer song had all the elements of a classic Jackson tune as did “Standing in the Breach” a track about rebuilding in the aftermath of the Haiti earthquake. Browne still uses his lyrics as a platform for his hope of changing the world for the better. Jackson Browne’s incredible band in action as they Ascend to new heights. “Looking East” was energized. The popular “The Pretender” and “In the Shape of a Heart” were well-played crowd pleasers. Fans were on their feet for an animated “Running On Empty” and remained standing for the encore of “Take It Easy” flowing into “Our Lady of the Well” which showcased short solos from members of the band. Husband/wife duo Larry Campbell and Teresa Williams have joined Jackson’s talented team for the 2015 tour and they were also the opening act at the Nashville show. Jackson Browne was is good voice in Tennessee. He presented a diverse set of well-known and less familiar tunes. Browne with his band appeared to be in good spirits and they seemed to appreciate playing at the Ascend Amphitheater – one of Music City’s newest and finest venues. Jackson Browne surveys the crowd in downtown Nashville.